Congratulations, Kim Spradlin! You're looking at the winner of Survivor: One World. Kim & Chelsea strategize during the season finale of Survivor: One World. "Perception Is Not Always Reality" is the 14th episode of the shows 24th season. The Tikiano tribe prepares for an immunity challenge on Survivor: One World. "It's Human Nature" is the 13th episode of the show's 24th season. Kim Spradin makes a dive during a wet and wild challenge on Survivor. "Never Say Die" is the 11th installment of the show's 24th season. 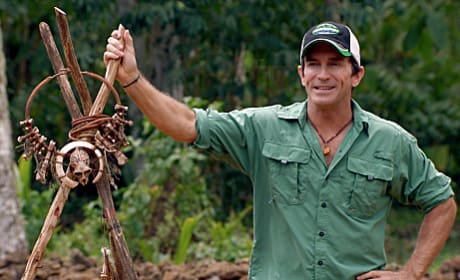 Jeff Probst has a gavel and he's not afraid to use it! The host is auctioning off some items in this photo from Survivor. 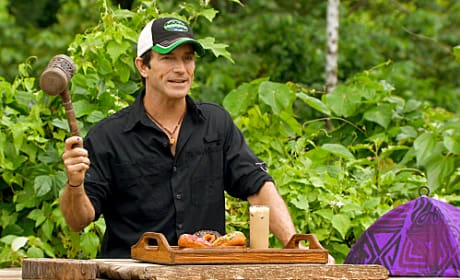 Jeff Probst shows off the immunity idol to the teams in this episode of Survivor: One World. "Go Out With a Bang" is the 9th episode in the 24th season. Kat Edorsson, Jay Byars, Alicia Rose, Christina Cha and Chelsea Meissner gather around here during the eighth episode of Survivor: One World. Things are clearly turning serious on Survivor. Look at the expressions on the faces of Jay Byars, Michael Jefferson and Greg Smith. 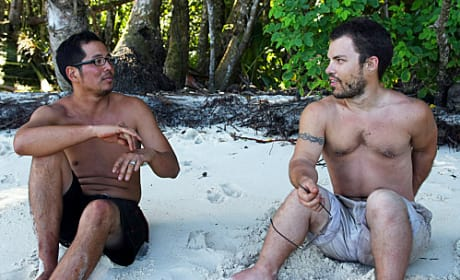 Jonas Otsuji and Leif Manson discuss a bit of strategy during this sit-down during the sixth episode of Survivor: One World. It's on here between Leif Manson and Kat Edorsson. The Survivors are engaged in a game of basketbrawl. Leif Manson takes aim here during the"Coco Connection" reward challenge. Survivor One World Winner: Crowned! 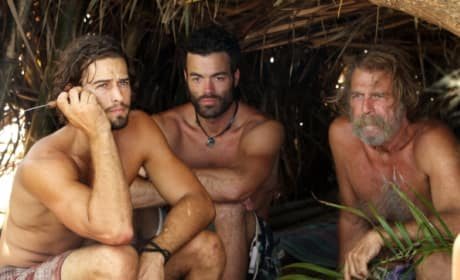 Survivor Review: Don't Be Crazy! 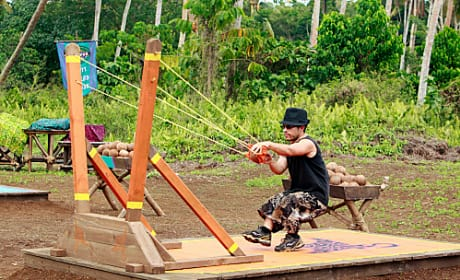 Survivor Review: Everyone Loves Blindsides!